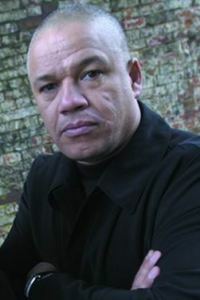 Best known for co presenting the BBC’s “Beat the Burglar” and as the principal mentor in C4’s “Going Straight”, Michael Fraser is also a highly successful security consultant and motivational speaker. 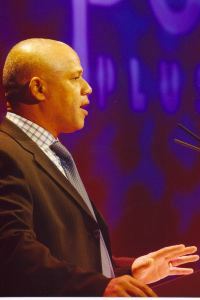 As a youngster in care, he came within a whisker of receiving a custodial sentence and has not forgotten how he could so very easily have gone on to become a hardened criminal had he not been given a chance to ‘go straight.’ In constant demand for media interviews, security skewed marketing campaigns and speaking, Michael Fraser is the man everybody turns to for comment and presenting on all topics relating to burglary and general crime in and around the home. 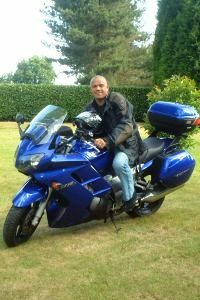 He is an expert on how not to become a victim of crime whether it be a burgled property or when one is out and about. His practical but incredibly valuable advice to help people prevent break-ins at home, a shed being pilfered, a car being stolen, a hand bag being pick pocketed or a pet being pinched is second to none. Born to a drunken Jamaican father and a white women from Yorkshire, Michael Fraser and his three siblings were taken in to care at a very early age. Though hard to fathom such a thing could happen in this day and age back thenthey were split up immediately as this was the way of children’s homes in those days. He was abused, glassed in the face etc. The effects were long lasting with one if his sister’s committing suicide and the other dying of cancer in prison. By 15 had been expelled from a number of schools eventually leaving with no qualifications. In early adulthood he drifted into petty crime and generally seemed to be heading down a steep and slippery slope. He committed two burglary’s but wimped out on the second one as he was thinking of his social workers words warning him that if he didn’t straighten out he would end up incarcerated for the rest of his life and he didn’t want that. The children’s home was already like a jail to him. Looking back to his youth, Michael recalls the turning point in his life. The owner of a small aluminium company was prepared to “take a risk” and employ him as a junior. But only after Michael had nagged the poor man until he gave him. Due to his sheer fright at the looming prospect of a jail sentence Michael threw himself into his work. This humble start sweeping the factory floor enabled Michael to become what he is today and he has never forgotten this. Michael acquired a thirst for business rapidly and wanted to help his boss expand but the man didn’t want to so he left and set up on his own becoming a millionaire by the time he was 21. For his 21st he flew business to South Africa and was segregated on arrival which was a huge shock! As a successful business man he acquired the lifestyle to match, driving a Bentley and living in an a series of amazing homes. Michael became ‘well known’ through his work on BBC’s ‘To Catch a Thief’ programme, which, by the end of the series, was achieving an audience of 8 million viewers. He then co presented two series of “Beat the Burglar” for the BBC with Dom Littlewood. He also worked with eight young offenders in Going Straight for C4. Michael’s series for Channel 4 who were offered a chance to hold-down a job running a flower shop in London. Mike acted as chief mentor and in particular helped them develop the self-discipline required to make themselves and the venture work. And his business continued to flourish until the recession resulted in a customer owing the company quarter million which he couldn’t pay. He lost everything and ended up working for two years for in Nigeria for international engineering and building group Costain until safety issues convinced him to return to the UK. Now divorced Michael has five kids and two grand children, and continues to appear in the media advising people how to secure their homes and personal belongings from burglars and thieves. A fascinating speaker, audiences readily take to Michael recognising his strength of character, determination and the art of persuasion which he uses to highlight the dangers we all have of becoming a victim of crime. He also talks to business people and ‘decision makers’ alike helping them to re-appraise their attitudes as to what makes a criminal and what can be done to turn them into useful members of society. (Sadly, the majority of kids brought up in care, end up with a criminal record and most never get out of the vicious circle of crime/institutions). Michael Fraser has a ready wit, so any talk on his life and work will make the audience both laugh and cry, and will also change their attitudes and perceptions.